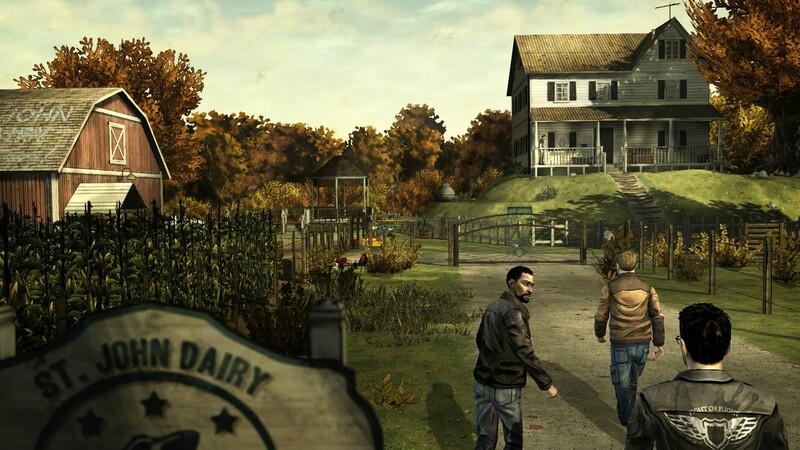 The Walking Dead is a video game based on Robert Kirkman’s comic book series. It exists of five episodes, which you can buy separately, or all together for only €15. I think it’s an amazing game, that really sticks in your head after you’ve played it. It’s an adventure game, but unlike most puzzle solving adventure games, this one is more focused on the psychological aspect of the story, how you relate to the other characters and how your own character develops. 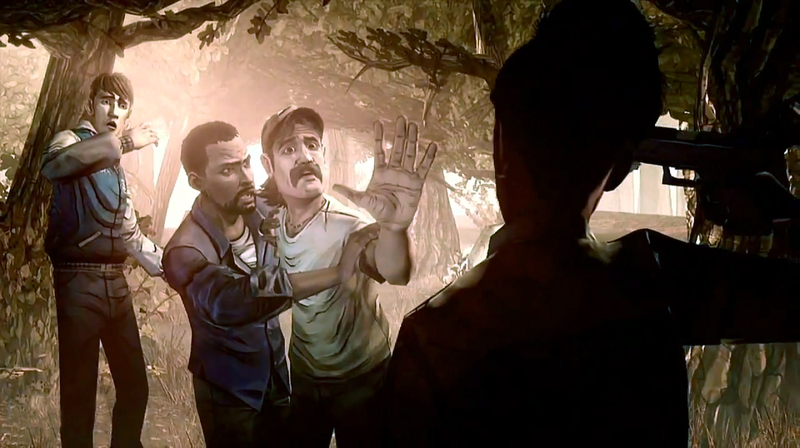 The game takes place in the same world as the comic, where there is a zombie apocalypse, hence the title: the walking dead. The zombies are called ‘walkers’ because of the slow way they walk, which is quite fortunate for the player, otherwise you’d be dead in an instant! ‘The Running Dead’ would’ve made for an awfully difficult game. You play the game as the main character: Lee Everett, about whom I won’t say any more, I’ll let you find out his story by yourself. Wat I can already say is that he is a very sympathizable character, who you really enjoy playing with. 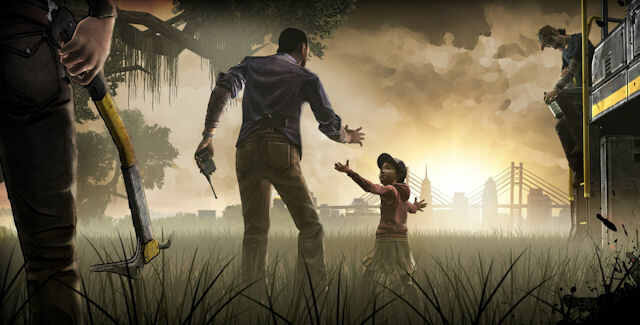 At the beginning of the game you find a little girl called Clementine, who you have to take of, which makes the game all the more emotional. You start feeling very responsible for her pretty quickly, and she is just super cute. Throughout the game you encounter lots of other people who either join your group or become hostile. You have to make many decisions, which is basically the main aspect of the game: you decide and the game develops based upon what you do. That’s what makes you so personally involved, when someone dies, it’s often because of what you said or did. Often when I went to bed after playing, I kept thinking about everything I did, and doubting whether I had made the right choice. It’s a great game to play together by the way. Mind you, it is a single player game. But one person can play and the other can watch. I played it with my boyfriend, and I know other people who did it just the same way. Because you have to decide fast sometimes, you can’t always talk every decision through, but as a ‘watcher’ you are also very involved in the game. I think the best thing about the game is turning it off and discussing (and comparing) all your decisions with friends!